Huawei’s sub-brand Honor launched the Honor 9N smartphone in India on July 24. This time the company has tried to attract the consumers by offering a stunning display and good design, instead of focussing much on hardware. The Honor 9N is the rebranded version of the Honor 9i (2018) which was launched in June at China along with the Honor Play as a successor to the last year’s Honor 9i. The device is priced at Rs 11,999 for the base variant with 3GB RAM and 32GB storage, whereas, the higher 4/64GB and 4/128GB variants are priced at Rs 13,999 and Rs 17,999 respectively. 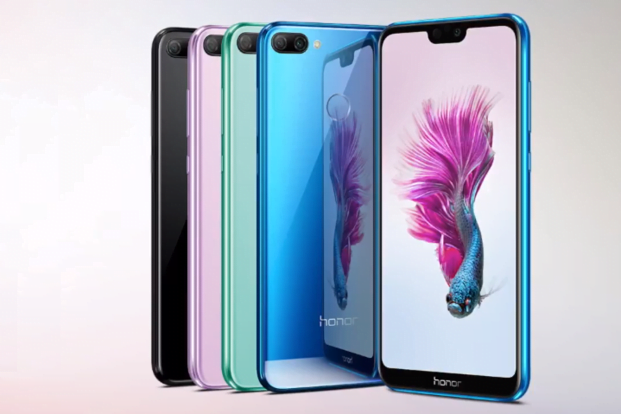 It is available exclusively on Flipkart and Honor’s e-store in four color options including Sapphire Blue, Midnight Black, Lavender Purple and Robin Egg Blue. Interestingly, it is the company’s first smartphone to be manufactured in India. The Honor 9N succeeds the Honor 9 Lite in India and offers a Notched display in addition to other cumulative upgrades. It competes with other sub-15K smartphones like the Redmi Note 5 Pro, Asus Zenfone Max Pro M1 and the Realme 1. Now let us look at some of the Honor 9N Features and Specifications. The Honor 9N features a glass sandwich design with a metal frame in between. The 12-layered glass back gives a premium mirror finish and houses the fingerprint scanner while the Notched display makes it look like the company’s latest flagship Honor 10. 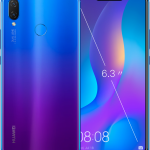 The Honor 9N comes with a 5.8-inch IPS LCD display with a Full HD+ resolution of 2280 x 1080 pixels and aspect ratio of 19:9, aided by the notch. The display offers a pixel density of 432ppi and is covered by 2.5D glass on top. The company has also included an option to hide the Notch by adding black bars for those who don’t like it. Under the hood, the device is powered by dated Hisilicon Kirin 659 SoC clocked at 2.36GHz along with Mali-T830 MP2 GPU. 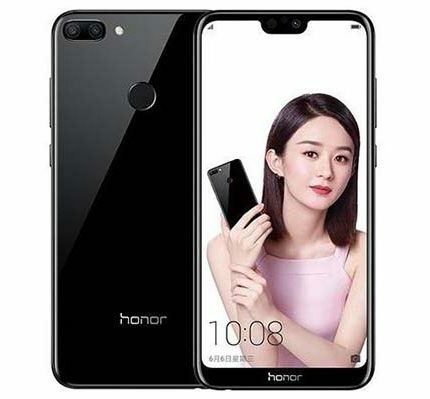 It is the same processor that they used last year with the Honor 7X, even the much higher priced Huawei P20 Lite packs the same old SoC which is a huge disappointment. The Kirin 659 performs on par with the Snapdragon 625 but the GPU isn’t strong enough to handle graphics extensive games like PUBG at high settings. Coming to the Cameras, the Honor 9N sports a 13-megapixel primary shooter with an aperture of f/2.2 along with a secondary 2-megapixel depth sensor at the back. At the front, the phone gets a 16-megapixel shooter. While the front camera takes good pictures, the performance of the rear camera is nowhere near to the benchmarks set by Xiaomi and Asus in this price segment. Also, the inability to record 4K videos due to limitations of Kirin 659 is a big bummer for many. 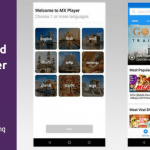 On the software front, the device runs on EMUI 8.0 based on Android 8.0 Oreo which offers certain nifty customization features without being laggy. All this is backed by a 3,000mAh battery which will last through a day for an average user. The phone also gets the Face Unlock feature. Connectivity options include 3.5mm audio jack, MicroSD card slot, 4G VoLTE, Bluetooth, MicroUSB, and Wi-Fi. You can check the detailed specifications below. Honor 9N has got all the necessary features you would expect from a sub 15k device, including the chipset, camera, and battery. At a starting price of Rs11999, it is directly competing with the Redmi Note 5 and Redmi Note 5 Pro. The display has a notch though! The 13MP Rear and 16MP Front camera should perform well. One last thing, the Redmi Note series has got 4000mah battery, which, coupled with Snapdragon and MIUI, is a battery beast. Don't expect such insane battery life with this Honor 9N.